Move over eggless salad sandwich, there’s a spicy new sandwich mash in town. 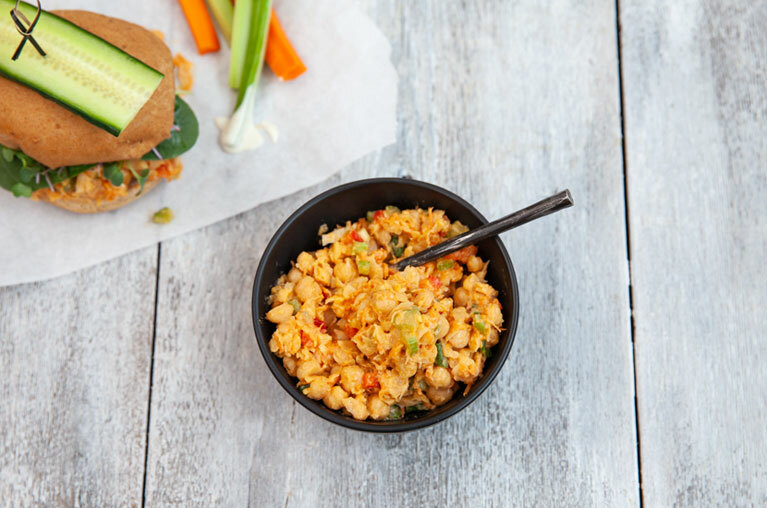 Creamy with zip, this buffalo chickpea filling has a great crunch thanks to carrots, celery, onion, and bell pepper, and is as versatile as they come. Serve it open-face on toast, as a protein-packed dip with veggie sticks, or as a bunwich on our Millet & Chia buns. In a large bowl, mash chickpeas to form a coarse mixture. Add remaining ingredients and stir to combine. Adjust seasonings to taste. Serve on our Little Northern Bakehouse Wide Slice loaf or toasted Millet & Chia buns.